Sally Spedding was born by the sea near Porthcawl and studied Sculpture at Manchester and St. Martin’s, London. While an exhibiting artist and full-time teacher, she won an international short story competition and was approached by an agent. 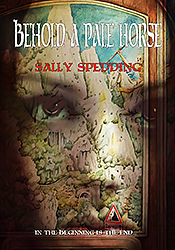 Wringland, set in haunted Fen country, was published in 2001. Sally is also twice winner of the international Welsh Poetry Competition. This literary thriller mainly set in London and the south of France, draws upon parallels of evil through the ages. From 1271-1310 after the purging of the Knights Templar in 1307 and the round-up and torture of homosexuals from the French Riviera during World War II, to 1983 and young Catherine and Clement Ash’s loveless marriage. It also charts one deranged old man’s unfinished business leading to a different, even more deadly Apocalypse. 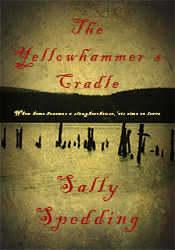 According to ancient folklore in Scotland and northen England, the yellowhammer bird is said to drink a drop of the Devil’s blood every May Day morning, but for pretty, young, Catriona McPhee in rural Argyll in 1846, this mere titbit will never satisfy her dark soul. From the day she arrives to work as a maid at Ardnasaig House on the bleak shores of Loch Nonach during the time of the Clearances, she brings a growing fear to those already there. Yet nothing – not even her shocking secret – will dent her ambition. However, Janet Lennox, the housekeeper’s plain, less-educated daughter, harbouring her own tragedy, has other ideas, and soon a dance to the death begins. As winter chills the vast rooms and freezes the bottomless Loch Nonach, who, within that haunted, granite prison, will live, and who will die? WHERE NO-ONE IS SAFE… In 2008, when Rita Martin’s feckless husband leaves her and their three children to fend for themselves, her secure world is turned upside down. When they have to move to Coventry’s Scrub End estate, her every worst fear is realised. Yet how can she possibly know that her eldest son’s best friend from a nearby luxury development has only evil in mind? A teenage boy with, it seems, everything, yet damaged and dangerous like the very area itself. And will DI Tim Fraser believe Rita enough to help protect her family and bring a killer to justice? 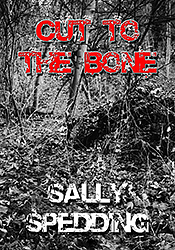 CUT TO THE BONE is a dark, psychological chiller, set in troubled times. You will be left unsure whom to trust and wondering when all else fails, if even love is enough.